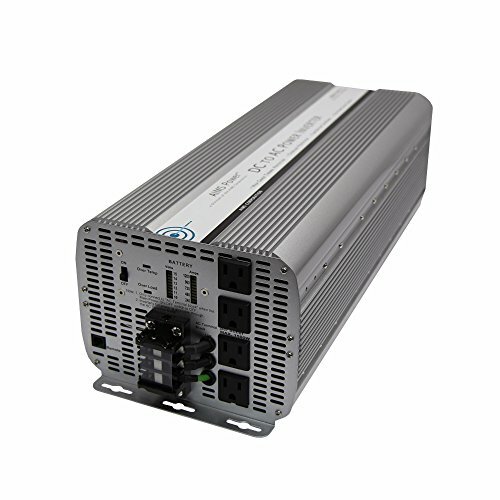 The AIMS 10,000 Watt Power Inverter is likely the largest 12 volt DC inverter you will find. Capable of producing 10,000 watts of modified sine power, this inverter is the first of its kind. In terms of size and weight, it is far more flexible than any other inverter with the same output power. Whether planning to use this inverter for off-grid cabin applications, mobile business or for a back-up power system in your home, this inverter will get the job done while also taking up the least amount of space possible. The biggest innovation regarding this inverter is its weight: a mere 21 pounds, which is unrivaled by any other inverter on the market with that wattage capacity. If you have any questions about this product by Aims, contact us by completing and submitting the form below. If you are looking for a specif part number, please include it with your message.